Wireless Traveler has recently added a new product to its broad line of Wi-Fi communication products. Nooj, a feature-rich Wi-Fi calling app, is designed for the global corporate traveler and is ideal for multinational companies and companies who have employees that travel abroad extensively. The calling app allows the corporate traveler to make and receive crystal clear calls from over 190 countries with a secure and reliable connection. It also significantly reduces roaming costs. The app portal has been customized to provide global cost saving reports. Note: Foreign numbers are available to receive calls on the Nooj app upon request. Codec software to optimize bandwidth and reduce data consumption. This feature also maintains call quality when signal strength is low. Nooj is available for iPhones and Android phones. It can be downloaded from Google Play and iTunes. Nooj is not currently available for Android tablets or iPads. Please email our Customer Service group if you are interested in learning more about Nooj and how it can provide a significant benefit to corporate travelers. *Some numbers may not be reachable such as premium lines, satellite phone numbers, in-country toll free numbers, or emergency service lines. Some countries and cruise ships may block Wi-Fi app calling. May not be compatible with airplane Wi-Fi. **Call rates vary by country. 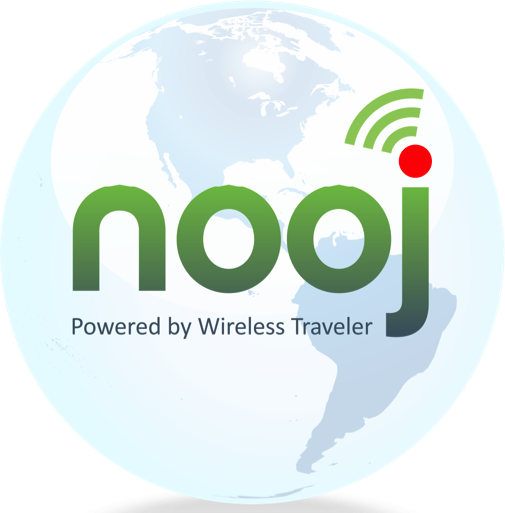 Using Nooj with a Wi-Fi network or an unlimited data plan is highly recommended. Charges by your network provider may apply if cellular data service is being used in conjunction with the Nooj app.